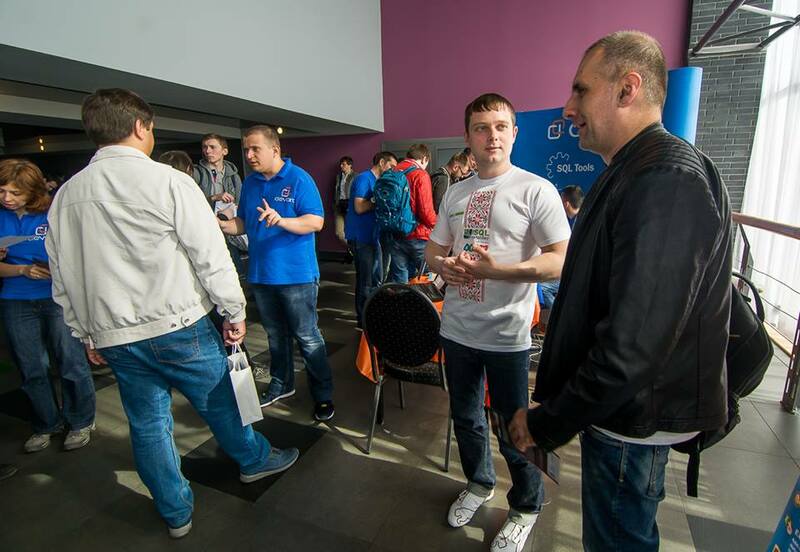 Devart sponsored SQLSaturday #508, that took place on May 21, 2016 in Kiev, Ukraine. 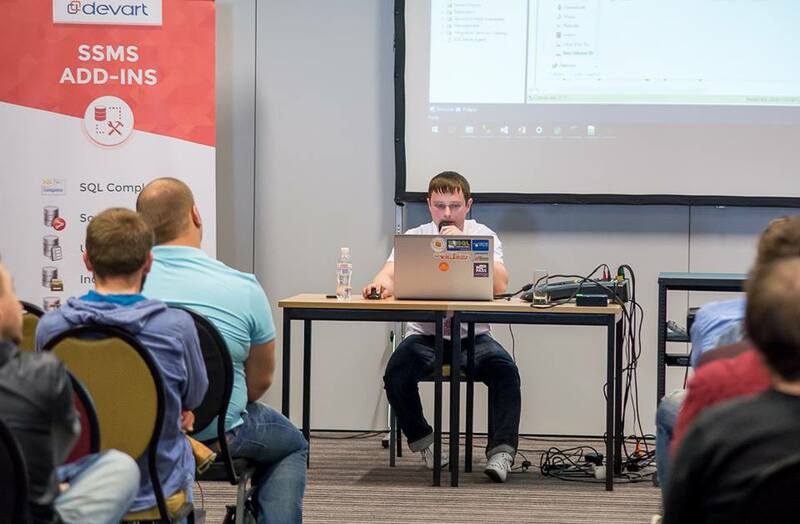 Besides databases, there were a lot of interesting sessions on the popular topics: BI, Data Science, Big Data, Machine Learning, and others. This year, over 500 attendees have had a great chance to learn something new from world-known speakers from more than 10 countries: Tobiasz Koprowski, Alexander Karl, Mihail Mateev, Dejan Sarka, Uwe Ricken, Michal Sadowski, Satya SK Jayanty, Regis Baccaro, Tomasz Libera, and others. We would like to thank the speakers for the wonderful conference! 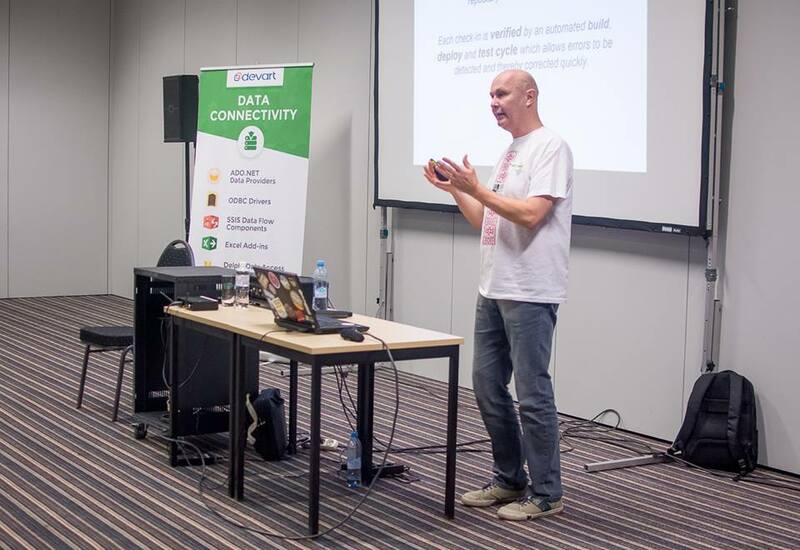 SQLSaturday’s are free 1-day training events for SQL Server professionals that focus on local speakers, providing a variety of high-quality technical sessions, and making it all happen through the efforts of volunteers. We would like to express our gratitude to the organizers — the team that made the event possible. 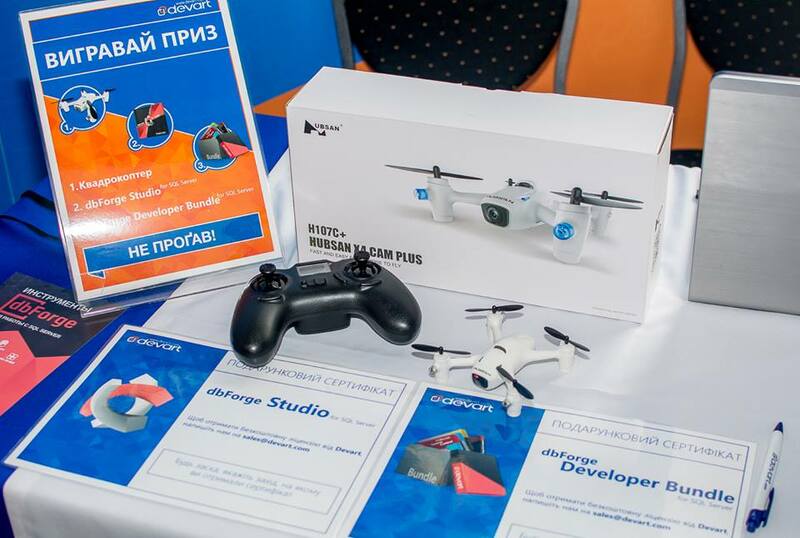 We also held the raffle for the participants of SQLSaturday. 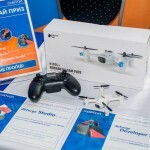 The winners were awarded with the exclusive prizes, including FREE licenses for dbForge Studio for SQL Server, dbForge Developer Bundle, and a quadcopter.